Mr. Bean's Supercar Crash Racks Up $1.4 Million Repair Bill : The Two-Way Rowan Atkinson crashed his McLaren F1 in 2011. It's been repaired and the bill set what news outlets say is a U.K. record. Rowan Atkinson (in character as Mr. Bean) in 2007. 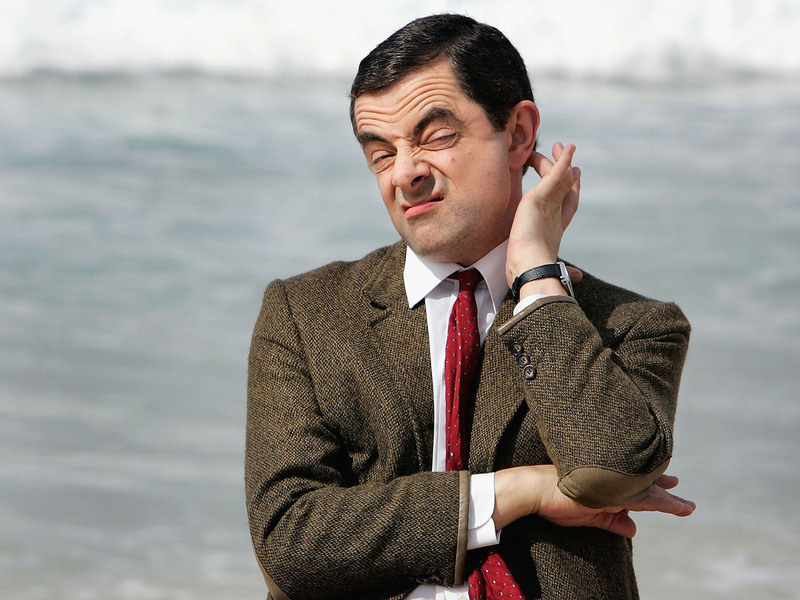 Rowan Atkinson, the British comedian who's probably best known to Americans as Mr. Bean, is in the record books for something that's not all that funny. According to reports from The Scotsman and other news outlets in the U.K., Atkinson's insurers paid 910,000 British pounds (about $1.4 million) to repair the McLaren F1 supercar that he wrecked in 2011. That's a U.K. record, newspapers say. The bill is about 42 percent more than the 640,000 pounds Atkinson paid for the car in 1997, the Scotsman says. The reason the car is worth fixing: its value has soared. One "immaculate model" sold for 3.5 million pounds ($5.5 million) last year, adds the Scotsman. Atkinson was not seriously injured in the crash. Don't assume, by the way, that he drives like his Mr. Bean character would. As fans of Top Gear will tell you, he's long been near or atop the show's ranking of celebrities who drive a "reasonably priced car" around a test track. He's nuts about cars, as was clear when he sat down with Top Gear.